Anyone who has ever tried buying a car while blacklisted has probably heard the word “no” a million times. The good news is, that with Earn-a-Car’s car financing solution, we can get you on the road in no time – even if you have a poor credit record. Even if you are blacklisted, have a poor credit record or are under debt review, you can still apply for car financing. We will approve your vehicle finance if you are permanently employed and able to afford a deposit and the monthly rental. 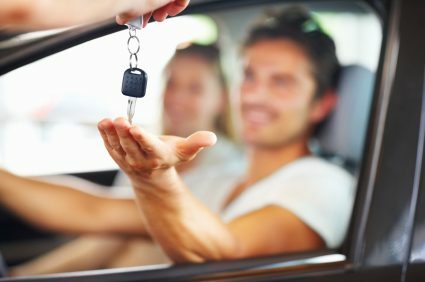 Our rent-to-own solution means that we retain ownership of your vehicle for the duration of your lease period (unlike traditional vehicle finance companies). There are no obligations for you to purchase the vehicle. However, at the end of your rental period, you have the option to buy the car, with your monthly payments being calculated as instalments. Making regular monthly payments and being consistent and responsible, is something that helps to improve your credit rating. Your monthly vehicle payments to Earn-a-Car will reflect on your credit record and show that you can be trusted. There are many benefits to car financing through Earn-a-Car. You receive R300 cash back for every successful payment you make (paid as a lump sum at the end of your lease period that you can use to pay any excess owing on your car) plus your monthly instalment includes accident insurance, basic servicing costs, vehicle assist and more. For information on Earn-a-Car’s affordable rent to own car financing for blacklisted clients, contact us today.